Asset allocation is the most influential factor in determining the variations in portfolio returns.1 Therefore, we actively manage our asset allocations to focus our portfolios on areas where we see the best opportunities for future returns. While our philosophy is centered on Modern Portfolio Theory and asset allocation, we realize that has limits. To further refine our allocations, we focus on a combination of a 3- to 5-year Strategic Outlook and a 6- to 18-month Tactical Outlook. 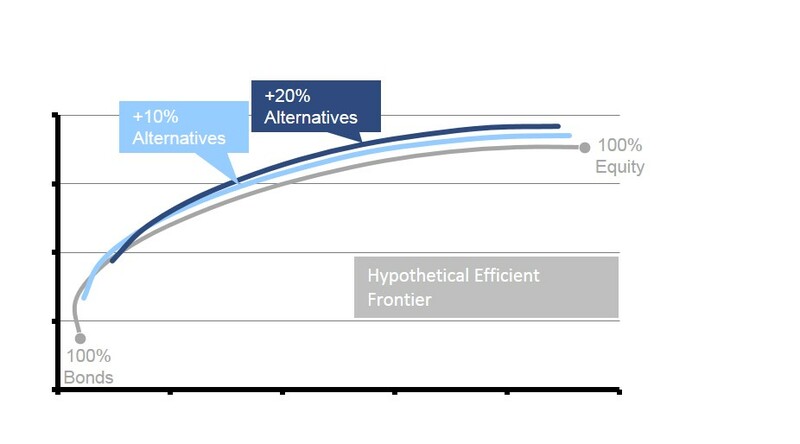 We believe this unique, split approach focuses our team on a shorter timeframe that has a greater visibility when creating our forward looking assumptions, providing more consistent risk adjusted returns. Alternative or non-traditional investments are a key differentiator for Stringer Asset Management and a central part of our investment management process. Using these types of non-traditional assets can help boost returns and reduce volatility over time. We follow a multi-step process for investment selection to ensure that we are implementing our ideas in the best manner. Investments that are selected for inclusion in our portfolios are constantly reviewed, and we are always looking for new and innovative ideas that better fit our investment themes.